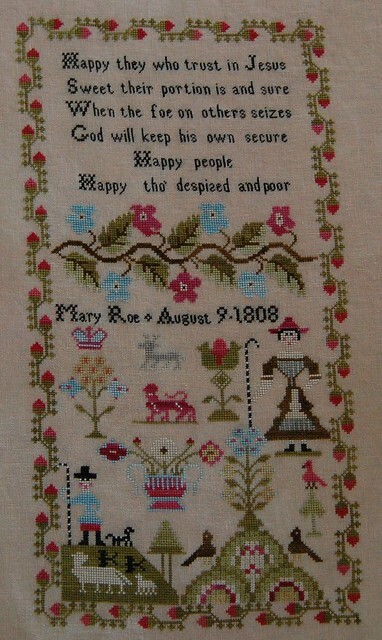 Nicole's Needlework: Mary Roe 1808 Finished! I'm making up for all those pieces I started when I was so stressed! :) I got Mary Roe finished up today. I love how she turned out! 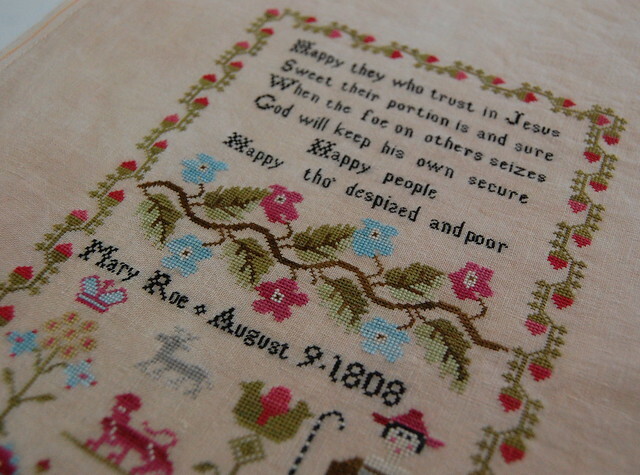 The Scarlett House "Mary Roe 1808"
40 ct. Vintage Pecan Butter, WDW and GAST threads. Your Mary Roe looks fantastic. Congrats on your finish. Wow that turned out beautiful. Such a beautiful finish, Nicole! 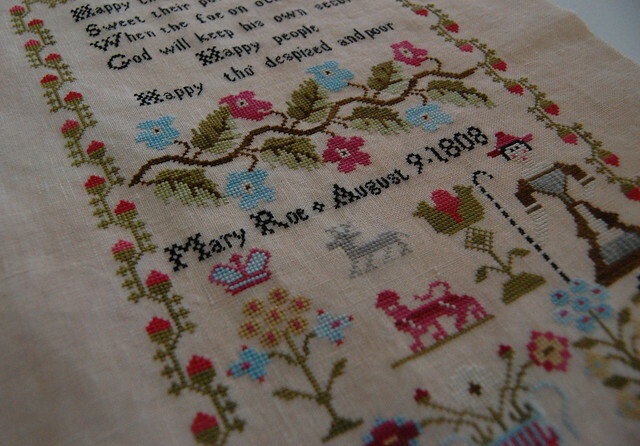 I love Mary Roe! Beautiful finish Nicole!! And you've got some great projects coming up too!! Oh, how beautiful! Love her, you did a great job! Your samplers are just beautiful!! I just saw the Christmas Garden. I'm working on that now. Just finished the green in the border. I like the way you put the alphabet in the bottom, not the words Christmas Garden. Your work is lovely! Beautiful finish! The colors are wonderful. Beautiful finish, Nicole! You are on a roll! Great finish Nicole! Can't wait for stitching at the beach! Gorgeous finish! love the colors! Congrats on a stunning finish! Great finish Nicole! I need to get mine back out and get it finished too:) You've inspired me! Congrats on a beautiful finish! Very nice! 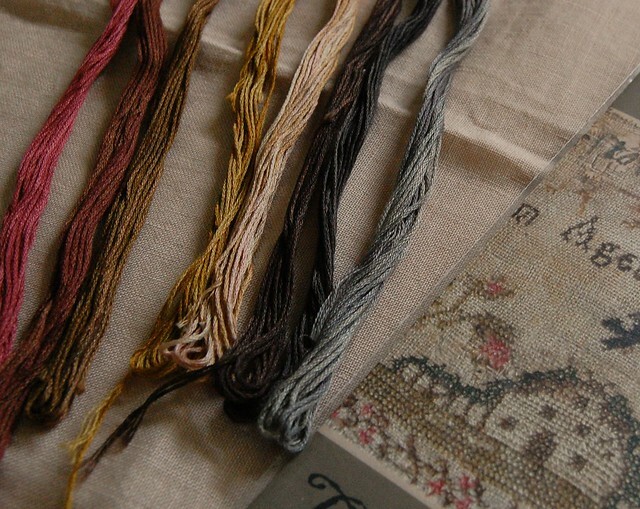 You have truly gotten your stitching mojo back. What a wonderful piece! Congrats! Congratulations on your finish, it is so beautiful! Nicole, your Mary Roe is beautiful! Congratulations on the finish. Wow, congrats on a really lovely finish! Those colours are so joyful! Absolutely gorgeous. 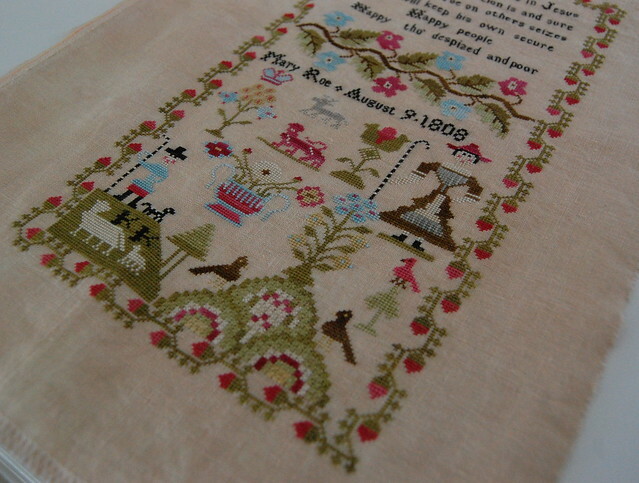 I am always inspired after seeing your beautiful stitching.